Everyone has goals and dreams. For me, I always dreamt of being an artist and owning my own studio. 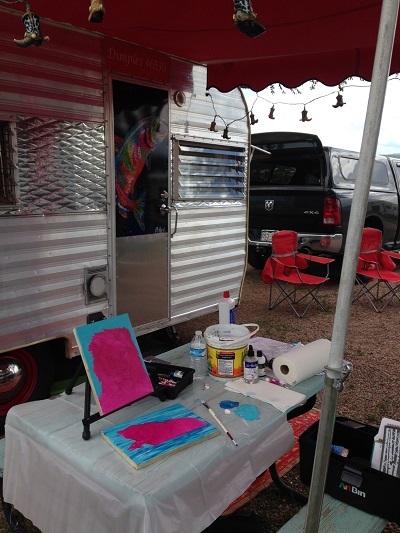 However, I also had a dream to refinish a vintage camper trailer and to use it as a travelling artist’s studio. Recently, my dream was realized! My husband and I bought a 1967 Trailmaster in 2015. 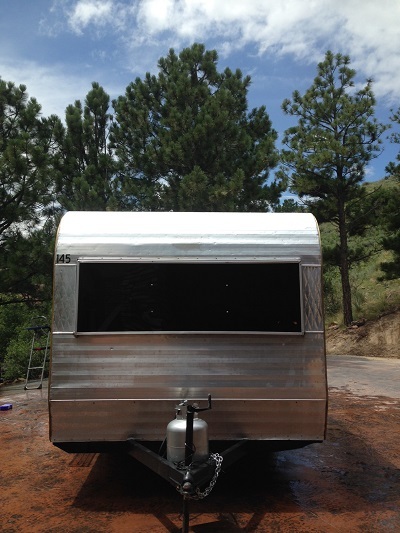 It’s a traditional “tin can” type of trailer, and I loved it immediately. I named it Dimples, and my husband got to work on one of the biggest renovation projects we’ve ever undertaken together! It took almost a full year to gut and renovate the trailer, but the result was absolutely worth it. Inside the trailer it’s primarily cowgirl or Western themed, but we added some elements of a traditional fishing lodge, as well. Although I love my trailer as it is, I dream of travelling in it more often as the years go by. My big goal with this trailer is to travel and promote myself and my artwork wherever and whenever I camp. The trailer will be used as somewhere to stay while my husband and I travel the country, but also as a travelling artist studio! I’ll be able to gather inspiration from my new surroundings wherever we choose to stop, and sell my work as I go. 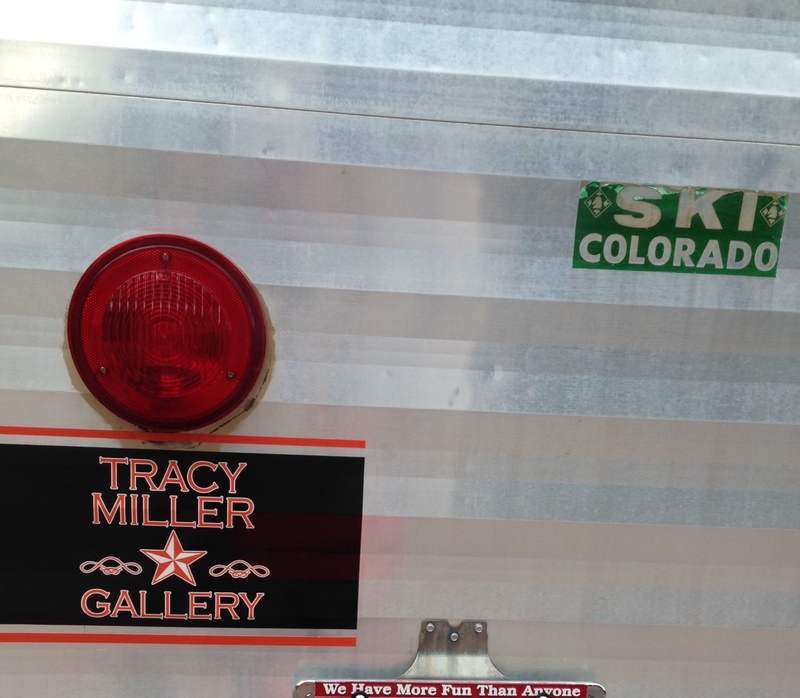 The logo for my gallery is a decal that we placed on the back of the trailer, and we had a decal of one of my trout paintings created for the door. As someone who grew up fishing and camping, I love having the opportunity to fully relax in my camper and to take my painting with me wherever I go. It truly is an excellent stress reliever – I wouldn’t give it up for anything in the world! During the last week of August, I’ll be showing off Dimples at the Denver Modernism Show (and of course I’ll be showing off some of my artwork as well). In the future, I’d love to travel with Dimples whenever I go to different shows out West. Keep your eyes out for us!